Designed for commercial vehicles, the Michelin Agilis Alpin is the safest in winter conditions, the most durable and the most economical in the Agilis range. Snow. The Michelin Agilis Alpin tyre increases traction in the snow by 25% compared to the Agilis Snow Ice* thanks to the rack and pinion and snow-shovel effect of the tread design. Grip has been enhanced using the Michelin Stabiligrip technology: self-blocking sipes with variable geometry act like claws in the snow. Grip on icy surfaces has been optimised thanks to the Durable Contact Patch technology from heavy-duty truck tyres: a squarer and larger footprint. Wear life. Mileage has been improved by 20 % compared to the Michelin Agilis Snow Ice*. The solution: more rubber on the ground combined with more abrasion-resistant rubbers. Durability. Good shock resistance thanks to the anti-scrape shields placed on the sidewalls and the dual-casing architecture. * In-house tests compared to the Michelin Agilis 81 Snow Ice. 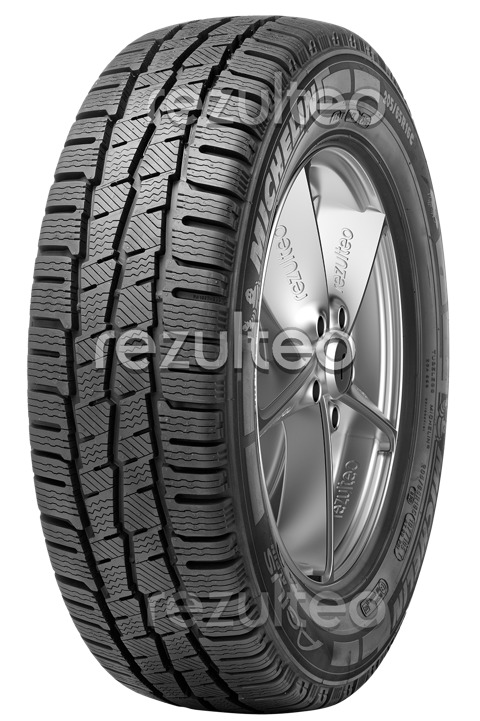 Winter tyre for commercial vehicles. Safety on wet and icy surfaces.